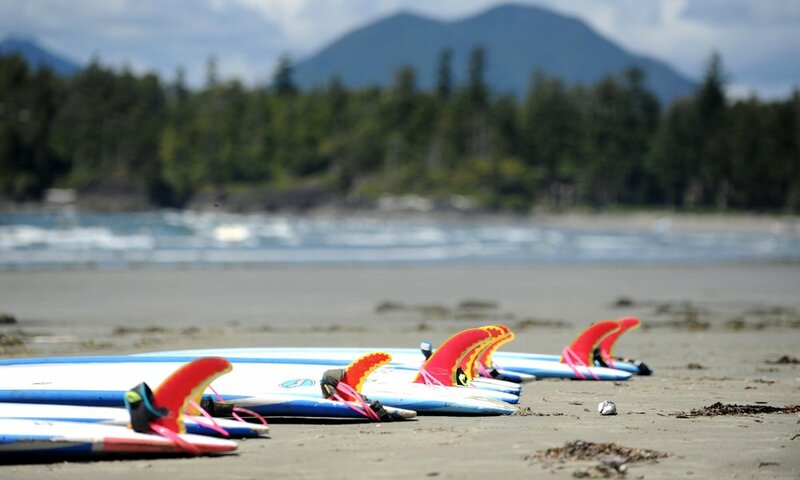 Spectacular Tofino, British Columbia is the destination for outdoor recreation vacations, offering some of the most consistent surf in the world. 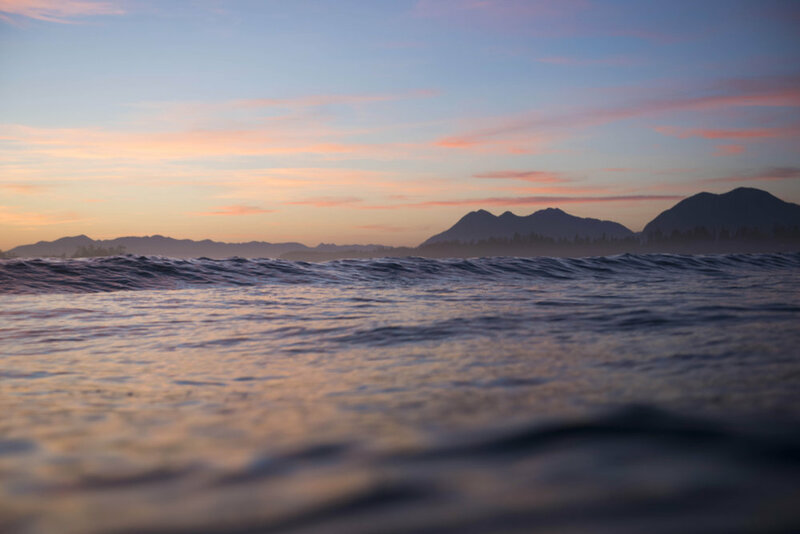 Stunning old growth rain forests provide the backdrop to the breathtaking beaches, where you’ll enjoy surfing, beach combing, sport fishing, storm watching, sea kayaking and whale watching.The area is also full of hiking trails for all skill levels. 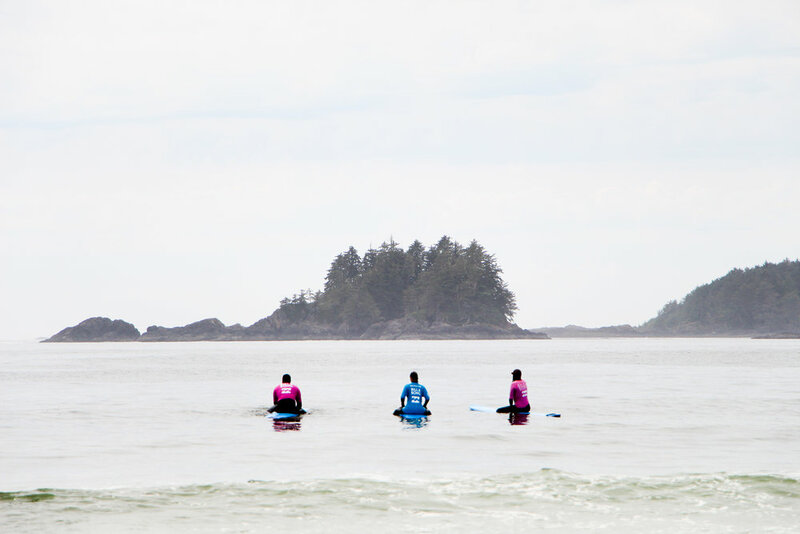 Originally a quaint fishing town, Tofino is now home to approximately 1,800 friendly residents who experience the best of both worlds: small town atmosphere mixed with ecotourism and luxurious amenities. Visit us at our main store for a coffee, to book your lesson or to check out our amazing selection of Billabong, Ripcurl and Surf Sister Brand clothing. 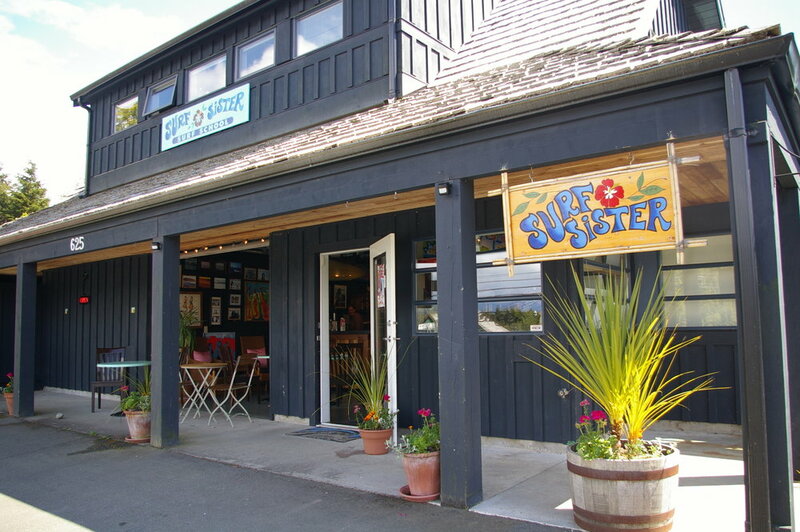 You can also find us at The Surf Shack located steps from Cox Bay at Pacific Sands Resort. The Surf Sister shop (or “Shredquarters as we like to call it) is located at 625 Campbell St. All classes meet at the shop (across from the Days Inn) where you will fill out our registration form and make your payment. From there you will make your way to the beach (transportation is not provided to and from the beach). Take either the Horseshoe Bay Ferry or Tsawassen Ferry to Nanaimo. From there drive north on Highway 19 until you get to the Qualicum Beach exit. Take the Qualicum exit and drive west on Highway 4 through to Port Alberni. From there follow the signs to Tofino and the Pacific Rim National Park. We are located on left side of the main highway into Tofino, at 625 Campbell St (right across from the Days Inn and Weigh West). *Approximate driving time from Nanaimo is two and a half hours. The Ferry crossing takes about 2 hours. Take Highway 1 north toward Nanaimo. Take the Highway 19 North exit toward Parksville/Qualicum and continue until you get to the Qualicum Beach exit. Take the Qualicum exit and drive west on Highway 4 through to Port Alberni. From there follow the signs to Tofino and the Pacific Rim National Park. We are located on left side of the main highway into Tofino, at 625 Campbell St (right across from the Days Inn and Weigh West). *Approximate driving time from Victoria is four and a half hours.